Jefferson County Vision placing print ads in local newspapers. 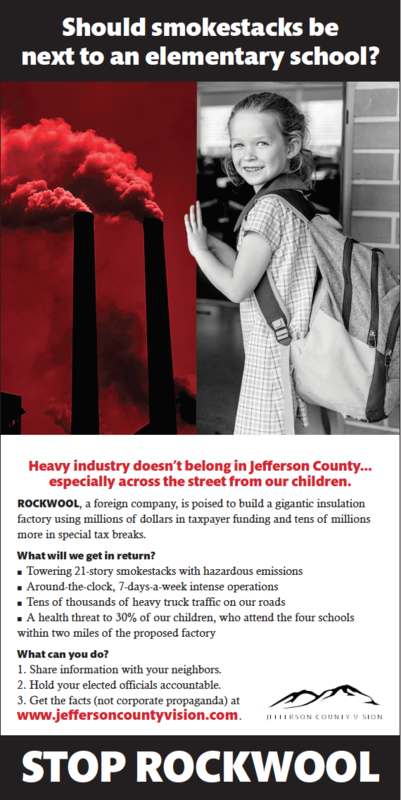 As part of the effort to educate the public about the government's plan to build heavy industry next to local schools, Jefferson County Vision is running print ads in several local newspapers. A project of the members of the Facebook Group Citizens Concerned about Rockwool Ranson, WV. Join our private group or visit the public Facebook Page to share content. We are now a non-partisan, non-profit organization called Jefferson County Vision that is working to protect and improve the quality of life in our community.